I know your fabulous. Your actually fantabulous! WOW..nice...very nice with the prompt Ego..
you are all about fantabulousity! 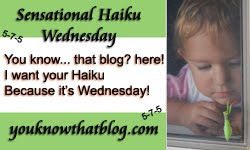 aren't haiku supposed to be about nature? And that sums up a healthy ego quite nicely!